Convenience rules our lives, and it also runs the grocery aisles. Roaming the grocery store shelves, we can find single-serve products, heat-and-go, microwavable, pre-packaged, instant, and a multitude of other easy-serve foods. Every shelf and aisle seems to be packed with new products competing to provide quick and easy foods. Even the old standby, soup, has a variety of choice for preparing products – dry, condensed, single-serving, home style, organic, and a few more. But can soup be reinvented yet again? Campbell and Keurig think so and the latest product from Campbell Soup fits nicely into this trend, a single-serve K-Cup that can produce a cup of soup at the touch of a button. 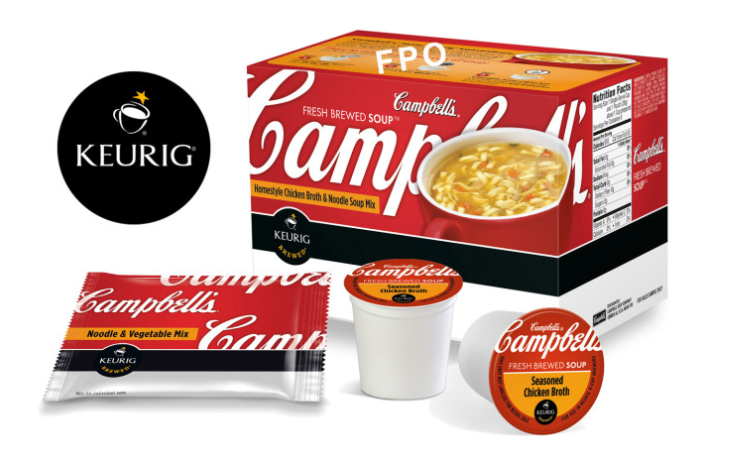 Starting next year, Keurig and Campbell will market a K-Cup of soup in three flavors. Using a standard Keurig brewer, the busy professional on the go can quickly prepare a meal in a cup, without the mess. Start with a discussion of product life cycle. What types of products fit into each segment of the life cycle? Discuss the difficulties, and necessity, of taking a product from a mature stage and reinventing it for an earlier stage. Next, ask students to list all the different soups and packaging they can recall. What stage of the product life cycle are soups. Then, discuss the rise of the single-serve coffee makers. Discuss the various products, along with the target markets for the products. Divide students into teams. Have each team take a product that is in the mature phase and redesign it to prolong its life. 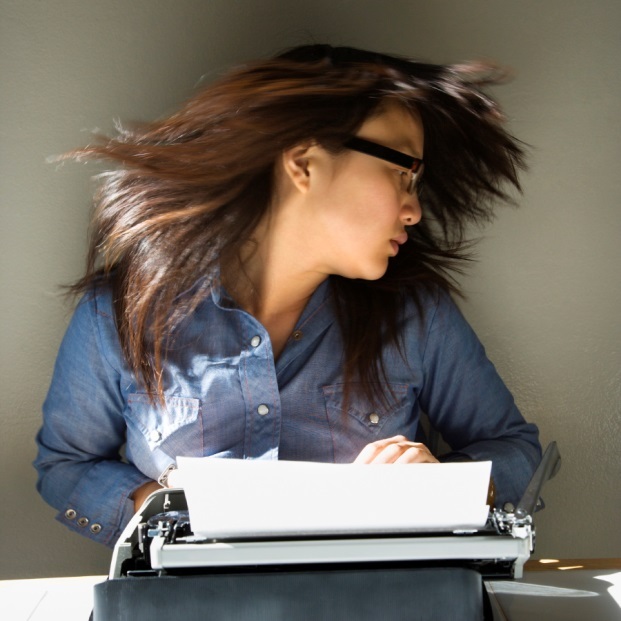 Social media is an essential component of today’s integrated marketing campaigns. In fact, sometimes social media can run the entire tone of a campaign. Savvy brands realize that social media (such as Twitter and Facebook) are a great way to speak one-to-one with consumers, building rapport and gaining trust. Using a friendly tone on Twitter can help brands build attention and gain new followers – many of whom eventually become new customers. While not all marketers are comfortable yet with the new media, some brands have fully embraced it. Remember this year’s Super Bowl power black-out? 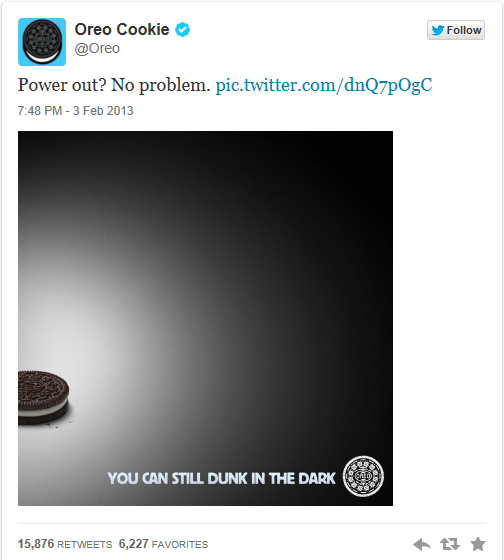 Oreo took advantage of the event to tweet news flashes (“You can still dunk in the dark”), and even incorporated it into their more mainstream advertising. Oreo and AMC Theaters also got into a fake fight when the cookie brand tweeted a question about whether people had ever brought their own Oreos to a movie theater! Follow a brand and see what you learn about how it reacts to social media interactions. Have students find examples of similar brands and campaigns. Either individually or in teams, have students select a brand to follow on Twitter for one week (or longer). At the end of the time period, have each student/team report on how each brand utilized Twitter. What ads did they see following the brand? What were messages from company? From individual users? What recommendations do students have for utilizing Twitter effectively?